FamilySearch PID numbers (FSPID) are FamilySearch's way to indentify the individuals you add to FamilySearch FamilyTree. 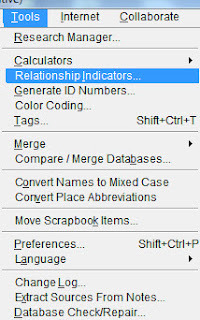 When you link and sync your individuals to the FamilySearch FamilyTree, that number is transferred into your own family file so that there is a link between the two individuals. So where does that number go? How can I find that number in my family file? Some people also want to see that number after to the person, this is done in Preferences. 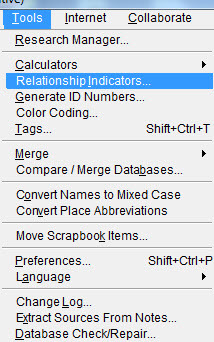 Go to "Tools", scroll and click on "Preferences". 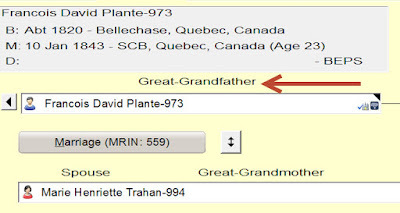 Under "Append to Names" put the dot in the FamilySearch ID section and it will be there after you click OK.
Now when you see individuals, the FSPID number will be after the name. 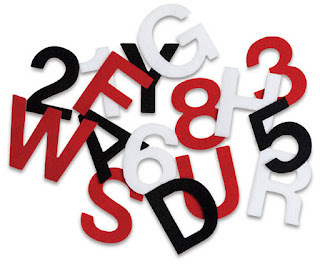 This is our tip for this week, putting that FSPID number where you can see it and also find where the system puts this connecting number for each person. Of course if you still wish to use the RINs you don't have to change it. Ever wonder how to Suppress RINs and MRINs in reports? There are other things that sometimes come into play when working on reports that may help you do a better report. As you can see it is at the bottom in the middle, however, other charts will have it in a different location. The key is to look carefully as the button moves around on different charts depending on the room available. The object is to create the best looking report and while you may want the RINs, you may not want the MRINs so the choice is up to you. Take advantage of this feature next time you go to create that special report! Do you struggle trying to figure out how person no. 452 is related to you? 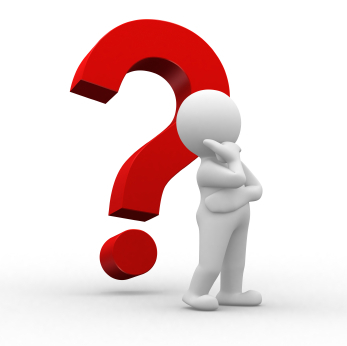 Often it happens that you discover a new individual and are curious as to their exact relationship or one is just curious. 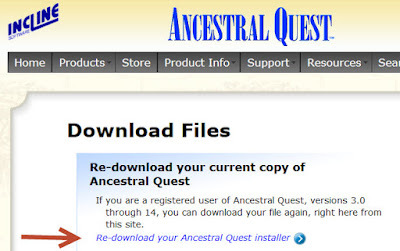 Ancestral Quest allows you to set your relationship to whomever you wish in your family database file. 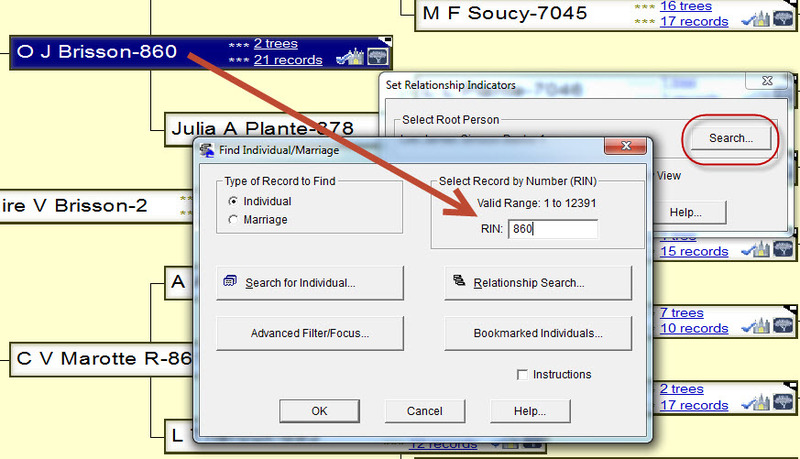 If the root person is not the person you want, click on the 'Search' button to locate the correct person which would be the highlighted individual, put their number in the box and click OK and then click OK one more time. 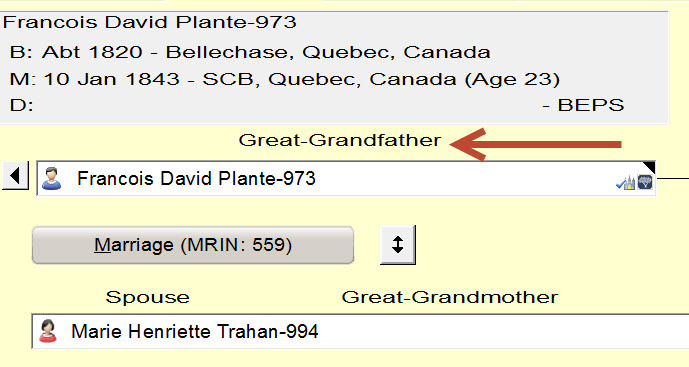 This can be done with anyone in your family database file and show just how you are related to that expected visitor! Computers often need replacing when we least expect it and then it can be a panic to get everything off the one that is going or gone and transferring everything to the new computer. All this can be difficult and unsettling for many, especially when they finally get home with their data and no programs. Most places will copy your data but you still have to re-install the program. 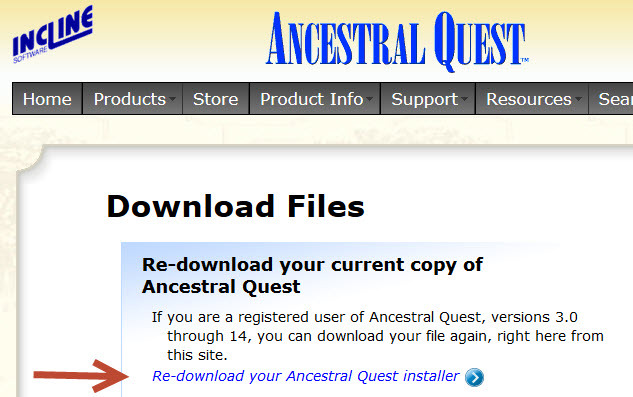 Family History/Genealogy is one of those types of programs most places will want you to re-install yourself, so how do you do that? Do you have to get a new registration key? 1) You don't need to purchase another key, you can email us and we will send it to you. 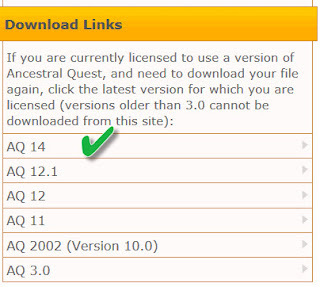 2) To re-install the latest version of the program go to our website at http://www.ancquest.com and click on "Resources" and then "Downloads" in the drop down. 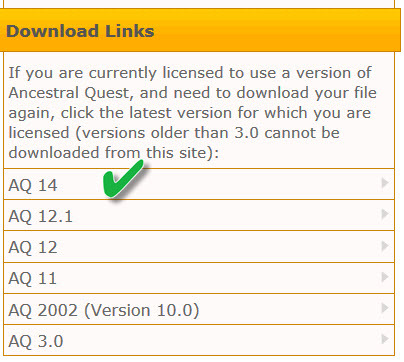 This takes you to our "Downloads" page, here you need to click on the section that says "Re-download your Ancestral Quest installer"
You are now at the Downloads Box where you click on AQ14 and are brought to the actual location of the download. One the program has downloaded you have to double click it to Run although sometimes you are given the option to run it once the program has downloaded. That's it! You've succeeded in installing the program on your new computer or laptop.